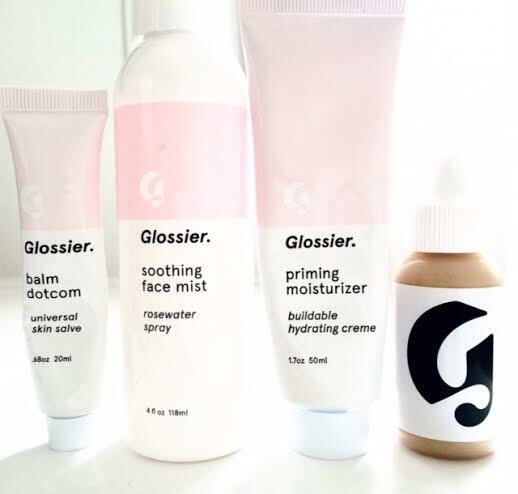 A little background on this brand incase it’s new to you, famous blog “Into The Gloss” creator Emily Weiss created this brand after pursuing her passion for beauty, interviewing models, makeup artists and the women she admires most in her life about what beauty products they use and why. 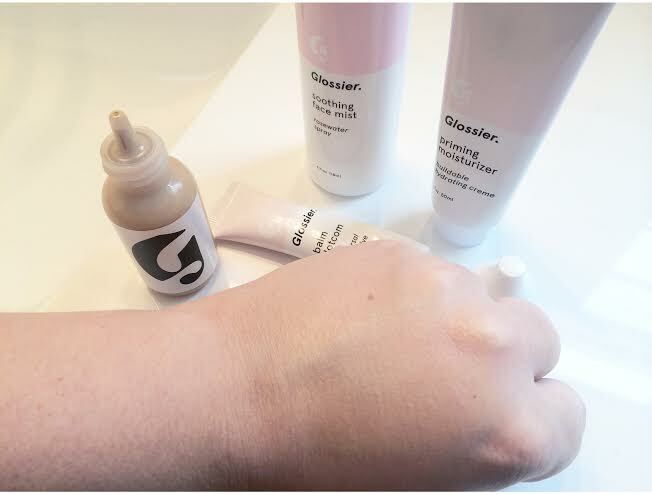 After gaining a loyal, worldwide following of her blog, an experienced beauty team, tons of research and product testing – Glossier was born! 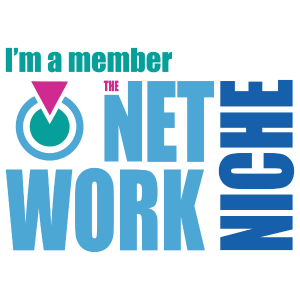 All of their products are designed to enhance what you already have, are high quality and start with perfectly primed & prepped skin to a flawless finish. The Phase 1 Set includes, a soothing face mist, priming moisturizer, balm dotcom and a perfecting skin tint. Start with the soothing face mist immediately after washing your face to prepare skin for moisturizer. The beneficial key ingredients include, rosewater (soothing & smells amazing), aloe (hydrating) and glycerin (retains moisture). 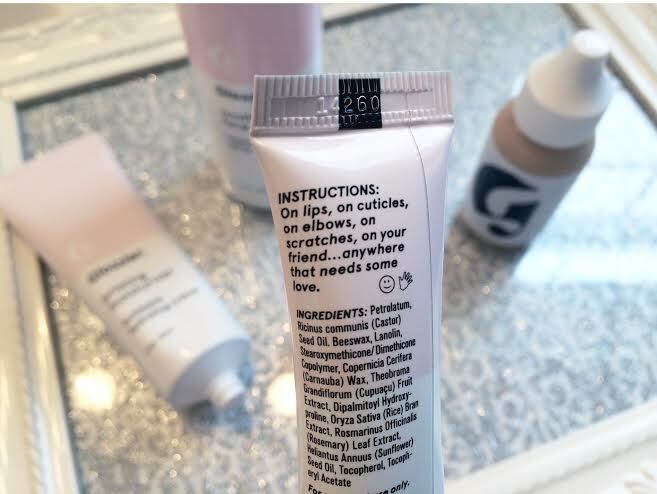 The next step is the priming moisturizer, apply a generous amount to prep your face for the perfecting skin tint. Priming makes a HUGE difference when applying makeup. 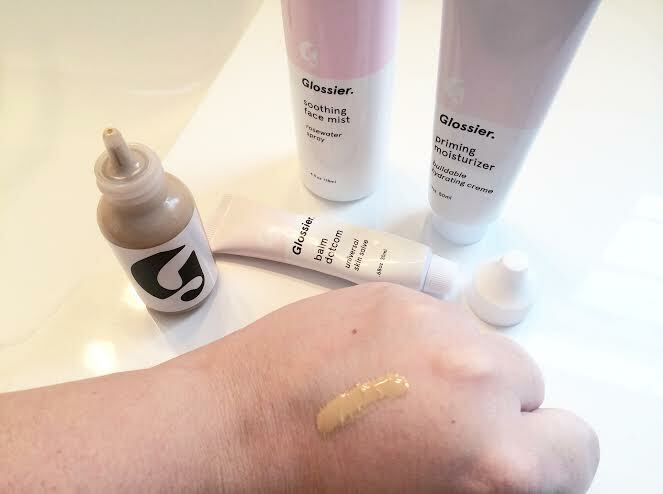 If you feel like your makeup smudges or doesn’t look that good after a few hours of wear, start with a great primer, it makes all the difference. This specific one plumps skin while providing deep moisture, reduces redness and calms inflammation, improves texture and protects against cell damage. If those factors alone don’t sell you, I don’t know what will! Next Post Valentine’s Day Gift Guide!